Producer/director Deon Taylor and his Hidden Empire Film Group have launched a new shingle, Dark Circus, that will produce film and television content aimed towards urban audiences, with a focus on the comedy and horror genres. The first project set up under the banner is a Snoop Dogg-produced horror anthology series, The Thrill. It centers on a mysterious hotel, The Last Stop Inn, situated on a lonely stretch of foreboding highway, where the unlucky guests who check in each week struggle to understand the supernatural events that unfold during their stay. The first feature release under the new label will be The House Next Door, the previously announced sequel to Meet the Blacks. Taylor directed the comedy that stars Mike Epps and Katt Williams. Taylor — who directed and produced the upcoming Paula Patton-starrer Traffik and is attached to direct the police drama .38 — runs Hidden Empire with partners Roxanne Avent and Robert F. Smith. Many people were touched by Jimmy Kimmel’s emotional story involving his newborn son’s serious health issues after being born with a congenital heart disease in April, and it looks like some celebrities reached out to do what they can to support the cause for others who cannot afford health care. Snoop Dogg visited the talk show host on Jimmy Kimmel Live! and gifted the personality with a check made out to Children’s Hospital Los Angeles. While Snoop was originally there to promote his new Neva Left album that dropped on May 19, he surprised the host with the generous donation that contained an undisclosed amount of money. “This is your show Jimmy, but I wanted to surprise you with something special. I saw you speak on your son as far as his health. So I wanted to come out here and make a donation to the hospital. We just want to make sure that we’re looking out for the next kid that may need that help,” Snoop told the host. This Labor Day (September 5, 2016) Working Californians will hold Los Angeles’ fifth annual Labor Day Music Festival featuring hip-hop legend Snoop Dogg, GRAMMY award-winning American Chicano Rock Band Los Lonely Boys; Latin- Jazz musician Poncho Sanchez; The New Orleans All-Star Band featuring Rock & Roll Hall of Fame Inductee Dr. John, James Andrews, Herlin Riley and Detroit Brooks; The Dennis Jones Band; The Victor Orlando Orchestra and Fun-Ja-La, and Cuban Funk. More than 50 Southern California labor organizations will gather on Mondayto celebrate and commemorate both the history and future of Labor Day at Working Californians’ Labor Day Music Festival. This annual event not only benefits working men, women and their families, but also recognizes labor victories made this past year throughout Los Angeles and Southern California. Concert performances will benefit Working Californians’ non-profit, which fosters social innovation and invests in improving low-income communities in Southern California. Here we go again… Adidas is marketing to the cool kids. I’ve got to give it up to the team behind naming Snoop Dogg (a.k.a Calvin Broadus) Director of Football Recruiting. It’s a clever idea. In addition to the already successful collaboration of designs inspired by Snoop and the position he holds as Director of Football Development for the company, Adidas has enlisted the rapper/football aficionado to handle an additional gig in a position that makes a lot of sense. Everyone on the sports circuit knows that Snoop has served as a sports mentor who has lead his very own youth league for years http://snoopyfl.net. He has inspired many young athletes, including his own collegiate player son, Cordell Broadus. Although Cordell may have recently made the choice not to continue his football career… he did in fact become one of the highest-recruited players in the country. Snoop has proven he can coach and has a vast knowledge of the sport. While this new corporate appointment may not be the most expected hire, it actually is sort of a no-brainer when you really think about it. Snoop Dogg as Director of Football Recruiting fits right in line with the Adidas marketing philosophy. Snoop has certainly got that football drive and his team mentality could pay off big for the brand. It’s always nice when a passion pays off. We wish Coach Snoop all the best in his new venture. As reported earlier today, Dr. Dre announced the release of his first album since 1999’s 2001 today on his The Pharmacy show on Apple Music. 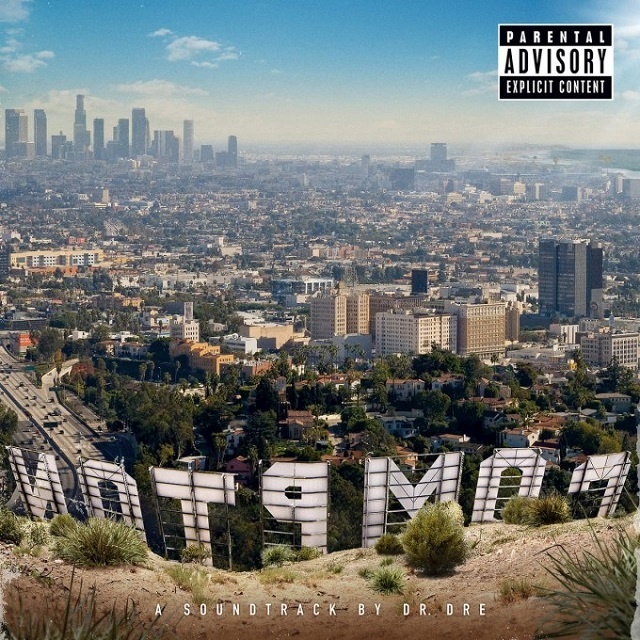 The album is titled Compton: The Soundtrack and will hit stores on August 7. He confirmed the album is completely different than the infamous Detox project and that it was inspired by the forthcoming N.W.A. biopic, “Straight Outta Compton” (8/14). For any doubters, Dre has released both the album artwork and tracklist. The LP will feature vocals from Kendrick Lamar, Eminem, Xzibit, Ice Cube, Jill Scott, Jon Connor, Marsha Amrosius, Snoop Dogg and many more. Check out the artwork and tracklist below. Lauryn Hill, The Roots, A$AP Rocky, Wale, Janelle Monae & Wondaland, Raekwon, Ghostface, The Internet, Raury, SZA, Scarface, and many more will take center stage at ONE Musicfest festival in Atlanta on Saturday, September 12, 2015. Beyond festival-goers having a good old-fashion time at the ONE Musicfest, Jason Carter, the founder of ONE Musicfest, told Black Enterprise.com exclusively, “I want people to walk away knowing that it’s possible for us all to share the same space. ONE Musicfest is a generational festival. It’s nothing to see a 17-year-old enjoying music along with someone in his or her late 40’s partying just as hard. So many times I think that’s overlooked with festivals. Some people will say, “That’s a young persons festival or that’s old school.” But the way we set up ONE Musicfest is so different—people jump up and dance when they hear a classic New Edition song and in the same breath once they hear the first drop on Kendrick Lamar, they’re bopping their head just as hard. According to a statement released by One Musicfest, the festival will take place on multiple stages and will serve as the ultimate mashup of innovative urban alternative acts with over eleven hours of non-stop music. The festival will feature over 25 of the hottest global DJs whose music crosses over to all spectrums, local vendors, games, and interactive activities. One Musicfest is the only place to see this roster of incredible acts join together for One purpose – which is to witness a wide variety of sounds, from rock to hip-hop, electro, reggae, funk, disco, house, alternative and soul while having your musical senses stimulated. Founded by Jason Carter, ONE Musicfest has been one of Southeast’s largest home-grown, musical arts festivals to date including over 10,000 plus attendees. Carter has brought Atlanta music lovers the best and the brightest urban alternative acts performing in a welcoming, hospitable setting, creating an atmosphere where everyone can enjoy and discover music. Previous artists include Kendrick Lamar, Nas, Jhene Aiko, Erykah Badu, Snoop Dogg, CeeLo Green & Goodie Mob, Santigold, Common, Method Man, Redman, Chrisette Michele, Amel Larriueux, Daley, Goapele, Joey Bada$$, De La Soul, Bilal, Quadron and more. For more information, please visit www.onemusicfest.com and follow @ONEMusicfest | #OMF2015 | #ONLYOMF. Don’t even attempt to front on Snoop Dogg’s Youth Football League. After last week’s National Signing Day, Snoop’s gridiron program has churned out 20 more Division-I college football players, TMZ Sports is reporting. The group is led by nationally-recruited players such as defensive back Iman Marshall(USC) and Snoop’s own son, Cordell Broadus, a UCLA-bound wide receiver. Of course, these committed players will all be trying to work towards an NFL contract, the way that Snoop Youth Football League alum such as running backs Ronnie Hillman and De’Anthony Thomas along with cornerbacks Kam Jackson and Greg Ducre were able to accomplish. With increasing success, nearly 1,700 players signed up to participate in the rapper’s football program last season alone. A complete list of the 20 Division-I players to come out of Snoop’s league this season could be found below.